Time flies when you’re having fun. It’s hard to believe it’s been one year since the world watched the Royal Wedding of Prince William and Catherine Middleton. 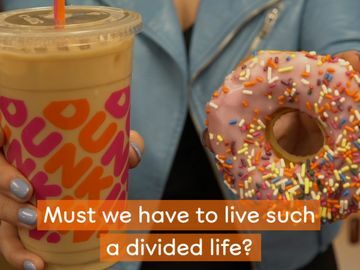 Inspired by Dunkin’ Brands CEO and Dunkin’ Donuts President Nigel Travis, a dual U.S. and British citizen who was born and raised in Woodford, Essex, both Dunkin’ Donuts, Baskin-Robbins also enjoyed celebrating the momentous occasion – with donuts, tea and ice cream cake, of course! 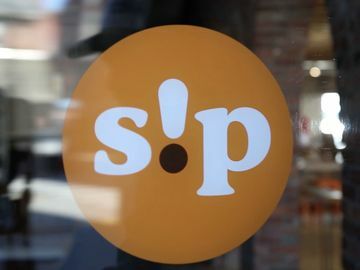 From festive menu items, to an internal celebration at the DD Mothership (our corporate office), join us as we revisit our fond memories of the Royal Wedding from April 2011. 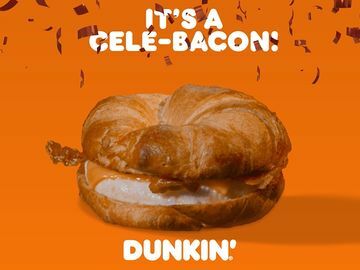 Dunkin' Donuts' Royal Wedding Donut, available at participating U.S. DD's for a limited time during April 2011. In honor of the Royal couple, Dunkin’ Donuts’ Executive Chef, Stan Frankenthaler and his culinary team designed a special Royal Wedding Donut, which was available in participating U.S. Dunkin’ Donuts restaurants from April 24, 2011 through the wedding day, April 29, 2011. 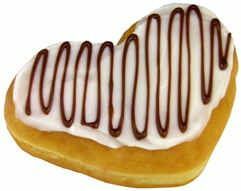 The Royal Wedding Donut was a heart-shaped glazed donut filled with jelly to signify the love between the couple. The donut was topped with white frosting as a nod to Kate’s white wedding gown and the chocolate drizzle was included in celebration of William’s love for chocolate. The Baskin-Robbins Royal Wedding Ice Cream Cake, available at participating Baskin-Robbins shops in the U.S., UK, Canada and Australia for a limited time during April 2011. It wouldn’t be a Royal Wedding without a delicious cake, so Baskin-Robbins’ Executive Pastry Chef, Christopher Boos, designed a special ice cream cake for people to enjoy at home while watching the wedding. 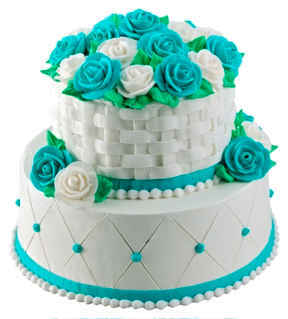 Available for a limited time during the Royal Wedding in April 2011 in the United States, United Kingdom, Australia and Canada, the Baskin-Robbins Royal Wedding Cake was available in one or two tiered options and featured vanilla cake, Baskin-Robbins Chocolate Mousse Royale ice cream and had more than 30 piped white and blue English roses. The cake was designed to be reminiscent of an English garden, inspired by the colorful gardens of the Cotswolds. Meg DiMascio, Dunkin' Donuts' Field Marketing Manager for Boston gets into the Royal Wedding spirit during the company's Royal Wedding Tea Party. 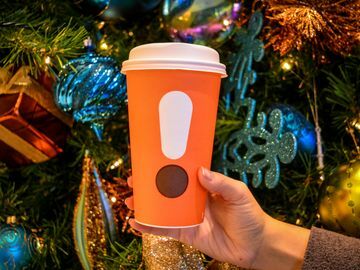 Though Dunkin’ Brands employees at the company’s Canton, Massachusetts corporate headquarters were given the Royal Wedding Day off, a festive internal celebration was held in advance of the event. 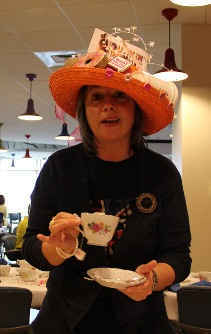 The third floor cafeteria of the DD Mothership was transformed into a white table cloth and fancy hat affair, complete with elegant tea cups, saucers and tea pots to serve plenty of Dunkin’ Donuts freshly brewed tea. 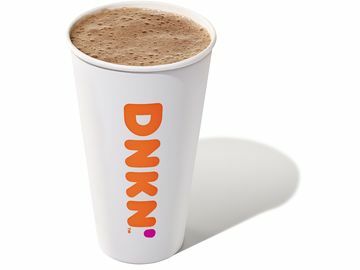 Dunkin’ Brands also gave employees the “royal treatment” by serving Royal Wedding Donuts and Baskin-Robbins’ Royal Wedding Ice Cream Cake. 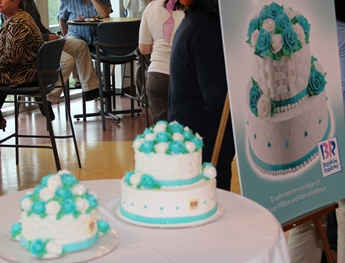 The Baskin-Robbins Royal Wedding Cake on display at the Dunkin' Brands employee celebration.